The deadline for proposal submissions is October 20, 2018. Authors may submit a 400 to 500 word proposal for individual papers or for panels of papers. The proposal form requires you to submit your proposal to a single section chair. Please also cc the Vice President and Program Chair of the Conference, spencerdew@gmail.com. Descriptions of each section are listed on the Section Chairs web page. If you have any questions about whether your proposal is appropriate for a particular section, please contact that section’s chair. If you feel your proposal does not fit into any of our current sections, you may submit it to the Additional Topics section. While at least one Additional Topics session may be related to the theme addressed by the conference speaker, proposals to Additional Topics (or any other section) need not be tailored to fit the themes addressed in the plenary session. Creative, unconventional, interactive session formats are encouraged. You may also opt to submit a proposal for a poster if that better suits your project; just indicate this in the proposal itself. If you are interested in organizing a panel, email the section chair directly. Notification of acceptance/rejection will be sent out by late November. 1. You may submit up to two different proposals to a single section. 2. You may submit up to two different proposals to two different sections. 3. You may not submit the same proposal to two different sections. 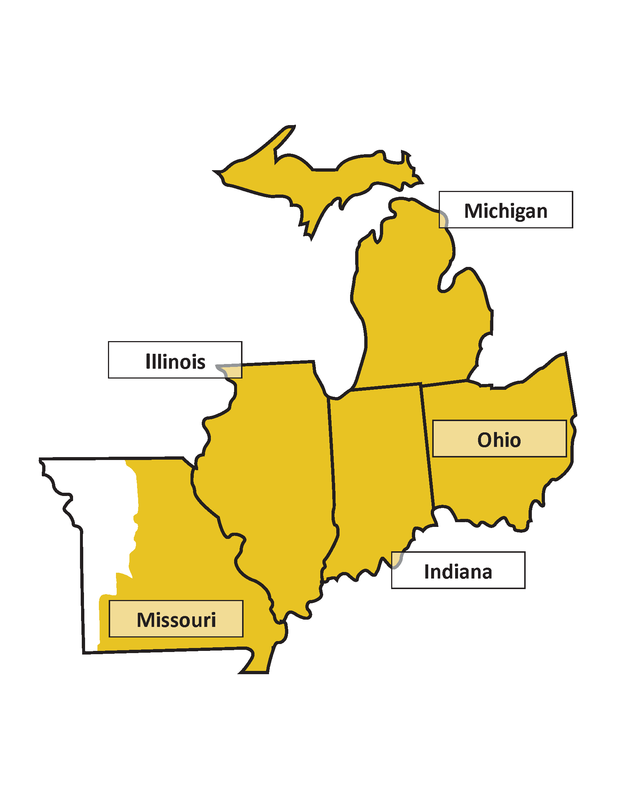 The Midwest Regional Conference is sub-divided into 14 Sections. Please do NOT send proposals by email attachment to the section chairs. Instead, please submit your conference paper proposal using the online system posted here, when the call to papers becomes active. The call for proposals deadline for the Spring Regional Conference of 2019 is October 20, 2018. Section Chairs serve a three year term, renewable by the Board for a second term. If you are interested in serving as a Section Chair or proposing a new Section for the conference, please contact the Regionally Elected Coordinator or regional President. See Open Positions and Nominations for any current openings. See the Policies and Procedures for more information on the duties of the Section Chairs. Solicits proposals for papers and panels that treat religion from anthropological or sociological perspectives. Proposals may approach the study of religion as a social institution in relationship to other social institutions and/or belief systems of a given culture. Proposals may also examine cross-cultural comparisons of formal and informal expressions of religion. Additional possibilities include (but are not limited to): religion, social movements, and social change; religion and popular culture; theoretical approaches and assumptions (including secularization); methodological approaches to the social scientific study of religion; religious identity and socialization; new religious movements; religion and inequality/oppressed groups; religion and social conflict; etc. Solicits proposals for papers and panels that explore the interrelationships between religion and all aspects of the natural world (understood as nature, cosmos, creation, environment, ecology, etc.). Encompasses subject matters and theoretical perspectives generally associated with the scholarly subfields of religion and ecology, religion and science, and religion and animals. Papers and panels may have a theological orientation or be identified as work in the academic study of religion. Solicits proposals for papers and panels dealing with ethical theory, applied ethics, moral theology, and other topics related to religion and morality, as well as papers dealing broadly with the philosophy of religion, such as questions of religious ontology, metaphysics, and epistemology. Adam Hankins, Loyola University, Chicago, hankins.adam@gmail.com. Solicits proposals for papers and panels that explore the intersections of religion, gender, the body and sexuality and how these meeting points create new places of exploration into the religious experiences of human beings as gendered, sexed, and embodied beings. Proposals addressing the intersectionality of race, class, and gender/sexuality/embodiment and feminist approaches to the study of religion are especially encouraged. Solicits proposals for papers and panels that analyze any variety of Christianity from academic, historical, and social scientific perspectives. Proposals for papers that adopt theological, constructive, confessional, or faith-based perspectives should be submitted to either the Theology or the Ethics and Philosophy of Religion Section. Solicits proposals for papers and panels focusing on any aspect of the Islamic tradition, including its texts, history, or practices. Proposals may focus on any time period and be from any disciplinary approach, so long as the topic is capable of engaging scholars of Islam. Solicits proposals for papers and panels that examine the intersection of religion and the arts, with a focus on literature (broadly defined to include fiction, non-fiction, poetry, and dramatic works), as well as sacred texts from global traditions. The call also extends to papers and panels that address the connections between religion, sacred and/or secular literature, and the arts. Solicits proposals for papers and panels that explore the importance of materiality and sensory cultures as they are manifested in and encountered by religion and spirituality. This section welcomes submissions with an interest in religious art and iconography, embodiment, the visual arts, music and aural cultures, sensory encounters, architecture, and photography, with an emphasis on vernacular manifestations. Solicits proposals for papers and panels exploring social, cultural, and historical aspects of religion in the Americas, and of the United States in particular. Studies of religious traditions or ideas that are not specifically situated in, or related to, their manifestations in this geographical context are not accepted. Solicits proposals for papers covering textual, ethnographic, or other historical and cultural studies of the religious traditions of South, Southeast, and East Asia, consisting primarily of (but not necessarily limited to) Hinduism, Buddhism, Confucianism, and Taoism. Solicits proposals broadly inclusive of Judaism and Jewish tradition. Panels and proposals may address textual studies, history concerning any time period from the ancient to the modern, theology, sociology, or anthropology of Jewish subjects. Solicits proposals for papers and panels on teaching practices (syllabi, assignments, classroom activities), the use of innovative pedagogies, challenges relevant to teaching particular courses, advising and mentoring, or reflections on (the joys and challenges of) teaching in our field. Solicits proposals for papers and panels in all areas of theology from within or about any religious tradition. Theology here can be broadly defined as reflections on the nature of God, on humanity (including--in Christian language--sin, salvation, suffering, etc. ), epistemology/theological method (i.e. how one knows or speaks of God), and related questions and issues. This section especially invites proposals that are constructive--that is, ones that make contestable claims about theology and theological method and so contribute to the ongoing work of theological reflection--rather than ones that are exclusively historical, descriptive, or comparative in nature. Specifically designed for undergraduate students in the field of religious studies who wish to broaden their academic experience by presenting their research at a formal conference, this Section solicits proposals for papers by undergraduate students on any topic concerning religion. Solicits proposals for papers and panels not appropriate for other Sections. Preference will be given to those proposals that focus on the topic of the annual conference keynote (To be announced for 2019).